Transparency – the effective provision of credible information to stakeholders in a way that improves decision-making and increases legitimacy and trust – is a rapidly growing requirement for international corporations, particularly those in mining, oil and gas, also known as the extractive industries. Corporate capacity for managing transparency is becoming a critical aspect for successful management of project sustainability and license to operate. Investor efforts to prevent corruption and reduce non-technical risks require companies to be more transparent about financial aspects and project impacts. Recent catastrophic events, coupled with stakeholders’ expectation of “answers at the click of a button,” have highlighted the need for greater transparency from large corporate entities. 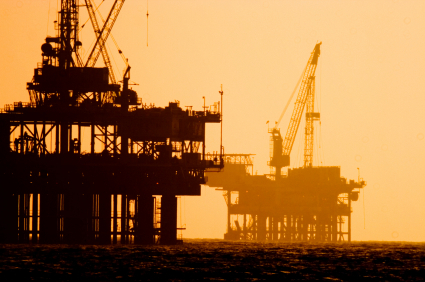 In particular, the enormous financial and reputational damage that followed the 2010 Macondo oil spill in the Gulf Mexico, as well as the global financial crisis, have steered affected companies towards greater disclosure and transparency in efforts to mitigate risk and prevent corruption. BP, for example, reorganized its management structure after the Macondo disaster in an attempt to create “greater clarity and accountability.” And Goldman Sachs, a Wall Street titan known for its “opaque” culture of non-disclosure, in January 2011 announced a “re-direction,” committing to transparency and disclosure following the financial crisis. Governments implicated in these far-reaching disasters have started to require transparency from private businesses and investors through regulation – in part, because the incidents raised serious questions about the quality of existing government oversight. The Macondo incident led to the restructuring of the U.S. Bureau of Ocean Energy Management, Regulation and Enforcement (BOEMRE) while the global mortgage crisis was a driving factor in adoption of the Dodd–Frank Wall Street Reform and Consumer Protection Act. In response to these incidents and other more regional ones, governments around the world have started to take a stance on transparency, which was once considered a “soft” issue, removed from the realm of regulation. And they have started requiring transparency from industries that have historically faced a considerable amount of public scrutiny due to their substantial economic, environmental and social impacts, namely, the extractive industries. Since June 2010, four national governments have passed legislation requiring greater financial transparency of extractive companies. The U.S., Hong Kong, Nigeria and the Democratic Republic of Congo have all instituted changes requiring greater financial disclosure from companies regarding their payments to government. Further, transparency regulation has been proposed in the European Commission’s EU Strategy for Corporate Social Responsibility and in South Korea’s Overseas Resources Development Act. The most globally-influential piece of legislation passed is the U.S. Dodd-Frank Wall Street and Consumer Protection Act, which requires extractive companies registered with the Securities and Exchange Commission (SEC) to disclose their host country government payments. The new law has prompted a wide range of reactions among stakeholders and has intensified international reporting standards conversations among global leaders. Discussions in the global arena led to a G8 endorsement in May 2011 of mandatory disclosure of extractive companies’ payments to host country governments. In addition to “upping the ante” with new financial transparency requirements, the U.S. is also taking on a leadership role regarding informational transparency in the oil and gas industries. In the wake of the post-Macondo federal agency “house cleaning” that began in 2010, transparency emerged as an integral aspect for improving safety and risk management standards. In January 2011, the National Commission on the BP Deepwater Horizon Oil Spill and Offshore Drilling called for greater transparency with regards to information availability, data-sharing and decision-making. In response, BOEMRE is expected in the near future to increase its offshore exploration permitting requirements. Government is not the only powerful player pressing the extractive industries to open their doors to greater public scrutiny. International financial institutions, recognizing the impact of extractive developments on local economies, have been stepping up information transparency requirements for extractive industry projects in recent years. Among those requiring greater disclosure are the International Finance Corporation (IFC), Multilateral Investment Guarantee Agency (MIGA), Equator Principles Financial Institutions (EPFIs) and the Overseas Private Investment Corporation (OPIC). In addition to information transparency about project impacts, the IFC and the European Bank for Reconstruction and Development (EBRD) also require financial transparency from extractive industry projects. Specifically, the IFC’s Policy on Social and Environmental Sustainability and EBRD’s Energy Operations Policy require projects to disclose material payments made to host governments. Financier and government stakeholders are not the only ones requiring revenue disclosure. Established in 2002, the Extractive Industries Transparency Initiative (EITI) has emerged as a powerful international voluntary standard for revenue transparency. EITI aims to improve sustainable development by requiring that extractive companies disclose and report on government royalties in EITI “candidate” and “compliant” countries that have agreed to commit to EITI’s principles and criteria. Countries benefit from abiding by EITI’s rules because doing so can facilitate an improved investment climate. Companies benefit from reduced reputational risk and threat to their license to operate, since, oftentimes, they are the targets of community dissatisfaction when royalties paid to governments do not trickle down locally. As of January 2012, 11 developing countries have qualified as “compliant,” having demonstrated a strong commitment to EITI through an extensive multi-stakeholder validation process. While any extractive company operating in an EITI “candidate” or “compliant” country is required to publish its payments to government entities, more than 60 extractive companies have committed further support to EITI governance, beyond satisfying disclosure requirements. Demands for transparency are likely to increase as the world becomes more inter-connected technologically. In the coming years, extractive companies can expect to face increasing pressures to disclose information on public-private financial transactions, impacts and risks. These demands will only be strengthened as the benefits of improved decision-making and increased legitimacy and trust become more apparent to both companies and their stakeholders. To keep pace with changing international expectations, extractive companies will need to understand and maintain transparent business practices wherever they operate. Those that go beyond developing these transparent practices – by choosing to respond to the emerging demands and develop a deeper value for and commitment to transparent engagement – are more likely to find significant strategic advantages with regards to non-technical risk management. Mary Beth Snodgrass is a consultant at Acorn International LLC, which delivers environmental and social risk management consulting to global industries and investors by partnering, directing and building capacity of local experts to promote local content and world-class quality assurance. NextHow Green Was President Obama’s State of the Union? Is There a Link Between Volcanic Activity and Global Warming?